The latest front-end LSI makes data readout from the image sensor approximately two times faster and the BIONZ X image processor is now about 1.8 times faster. Enhanced image processing realizes lower noise and further extended dynamic range across a wide sensitivity range of up to ISO 32000 (standard ISO, expandable to ISO 50-102400 for stills). Moreover, upgraded Detail Reproduction and Area-specific Noise Reduction achieves noise reduction–equivalent of approx. one stop–in mid-range ISO settings. Also, reproduction of skin colour has been dramatically improved, which is advantageous for portrait shooting. 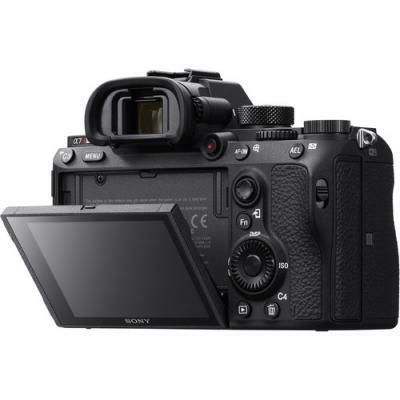 The 7R III also supports 14-bit RAW output even during silent shooting/continuous shooting. An evolved image processing system and 9 camera AF algorithms optimised for the 7R III improve AF speed, precision, and tracking performance. 399 phase-detection AF points and 425 contrast-detection AF points provide high-density wide-area coverage. Up to approximately two times faster AF speed and two times more precise AF tracking performance let you capture and maintain focus on nimble wildlife in unpredictable motion. 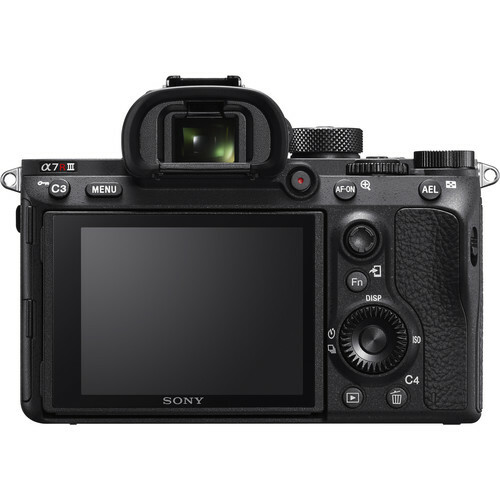 The 7R III also autofocuses reliably down to EV-3 brightness. 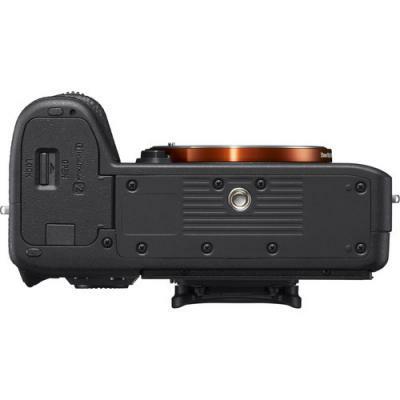 Eye AF's enhanced precision, plus two times greater AF speed and AF tracking performance further assist you to easily shoot a portrait of a moving subject using AF-C even during continuous shooting, and even if the subject looks down and away from the camera, or is backlit with face in partial darkness. 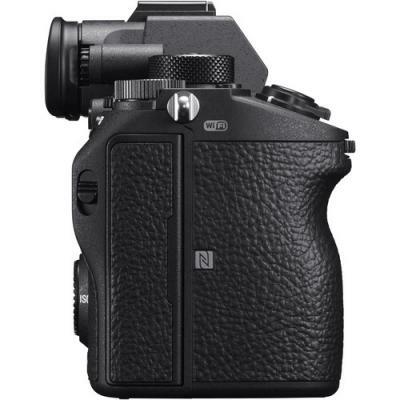 The 7R III's E-mount body supports Eye AF for A-mount lenses mounted via an adaptor. Phase-detection AF can operate even when an A-mount lens is mounted to the 7R III via an LA-EA3 adaptor that doesn't include a dedicated phase detection AF sensor. The 399-point focal-plane phase-detection AF system provides wide-area coverage, fast response, and high-performance tracking whether an A-mount or E-mount lens is attached. 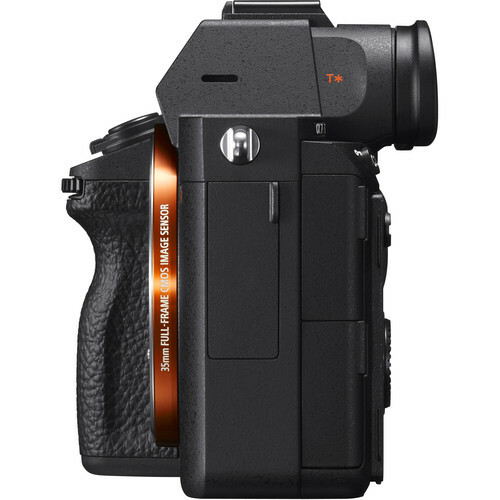 With new shutter unit and image processing system refinements, the 7R III can shoot continuously at up to 10fps with AF/AE tracking (up to 8fps with minimal display lag in live-view continuous shooting mode) for easy, stable shooting of even intensely active subjects. An electronic shutter allows silent, vibration-free shooting of wildlife when even slight noise can mean missing an ideal shot. 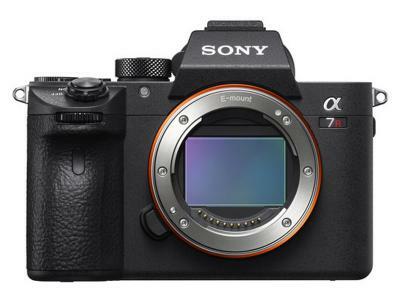 Greater buffer memory, system speed, and UHS-II support allow the 7R III to capture up to approx. 28 uncompressed RAW, or 76 compressed RAW or JPEG images in a continuous burst at 10fps. Fn menu/menu display access, setting changes and review playback can occur during data writing. A countdown of the number of still images remaining to be written to memory is on display during playback. Flicker from fluorescent and other artificial lighting is automatically detected and shutter action is timed to minimize the flicker's effect on still images. 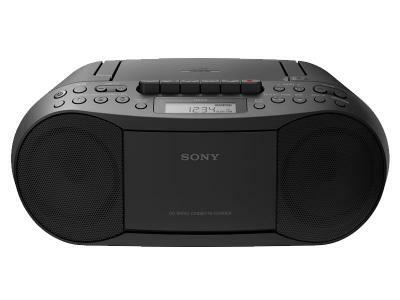 This suppresses exposure and colour anomalies at the top and bottom of images shot at high shutter speeds, as well as exposure and colour inconsistency between continuous shots, so you can take images indoors with more confidence. Now more effective than ever for the series, this comprehensive system compensates for five types of camera shake that tend to blur images: pitch/yaw shake when shooting at longer focal lengths; X/Y shake in close-up (including macro) shooting; and roll shake when recording stills at night and movies. 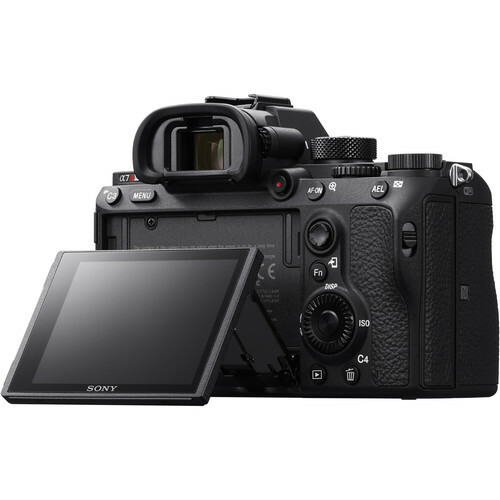 It effectively achieves 5.5-stop-faster shutter speed, so the 7R III can take full advantage of its 42.4-megapixel and live-view image performance. Furthermore, it functions with A-mount lenses attached via mount adaptor, as well as E-mount lenses.